Hey R fans! 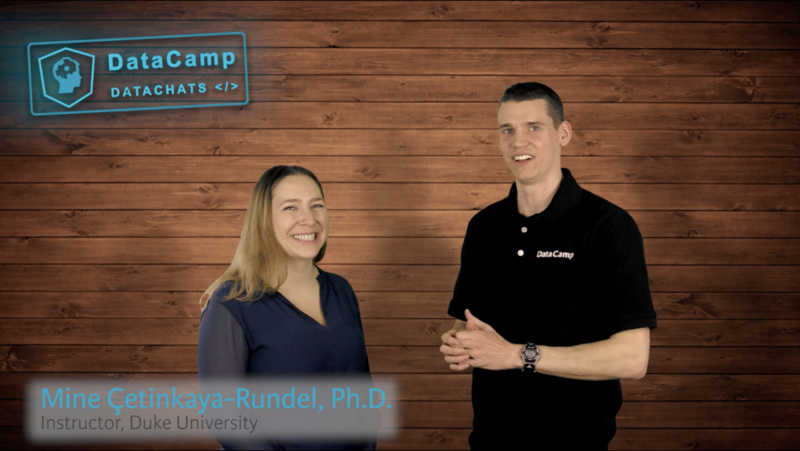 We've just released a new episode of our DataChats video series. In this episode, we interview Mine Çetinkaya-Rundel, Ph.D.. Mine is Director of Undergraduate Studies and an Associate Professor of the Practice in the Department of Statistical Science at Duke University. She received my Ph.D. in Statistics from the University of California, Los Angeles, and a B.S. in Actuarial Science from New York University’s Stern School of Business. Her work focuses on innovation in statistics pedagogy, with an emphasis on student-centered learning, computation, reproducible research, and open-source education. Find Mine's website here.